I can still remember getting assigned computer lab time my first year teaching. THANK GOD! I loved computer lab time because I could put the kids on a few games, and I could take a breather! Looking back, I am ashamed to say that I used the computer lab as more of a classroom management tool than one of education. Sure, there were some educational games the kids loved to play.. and I mean.. they were educational, right? I now realize that I wasted valuable time in the computer lab. We only went for an hour each week, but it was still not as beneficial as it could have been. I still don’t believe I have mastered the craft of effective computer lab usage, but I have definitely come a long way! There are some really neat websites I have found that I like to implement. Also, I learned some time saving techniques that I have made a world of difference in not only time, but classroom management. I would love to share those with you, as well as hear what you use in your classroom!! First and foremost, you need to have a game plan before you even walk out of the room. Line the kids up (I line mine up one table at a time, and refuse to go anywhere until they are quiet and in a line.) Make sure your computers are numbered in the lab, and assign each student their own computer. Inform them of their number. You may even want to give them an index card with the number on it for the first couple of times. Finally, KEEP RECORD of where they sit. You may need to tweak your lab seating arrangement until it meets your expectations. I suggest setting up a “computer lab” binder or clipboard where you keep all students log in information as well as the seating arrangement. 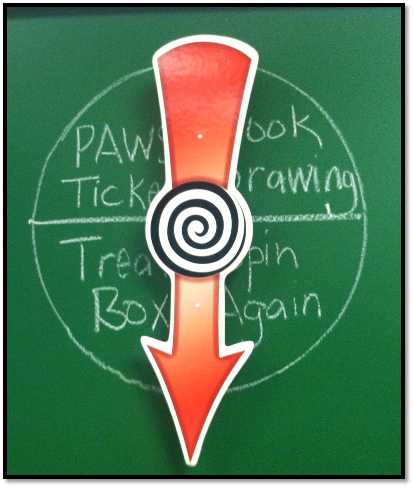 For more about how to control behavior in the hallway, read my “Behavior Management In The Hallway” post. Oh. My. Word. During my first year of teaching, I learned very quickly that one could waste nearly 20 minutes of class time just trying to get each student logged on to the correct webpage. This is especially true if your webpage URL is 5 miles long. I tried writing the URL on the board. I tried giving each student their very own copy of the URL. It tried URL “student helpers” to assist students who were having trouble. Nope. Nada. None of that worked as effectively as just creating my own class webpage and pre-entering the website URLs on there! I separated mine by subject. The students simply click “Grammar” for example.. and they will have multiple options such as “Subject/Predicate Quiz”, “Noun Sort”, etc… You can create a free webpage from multiple sources. I use blogger, but I have found various free webpage design sites that are pretty easy to navigate. 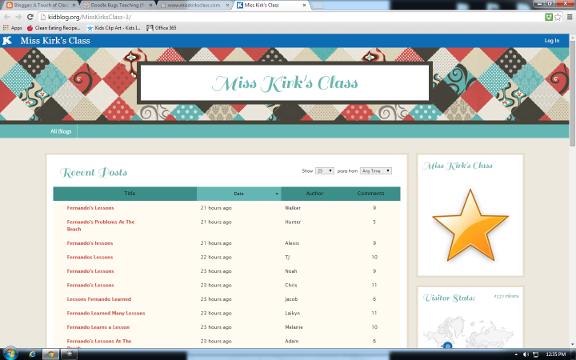 With a little practice, you can have your own class website up in no time! (Students can also log on at home! You can use this tool as a way to post classroom news and updates as well!) 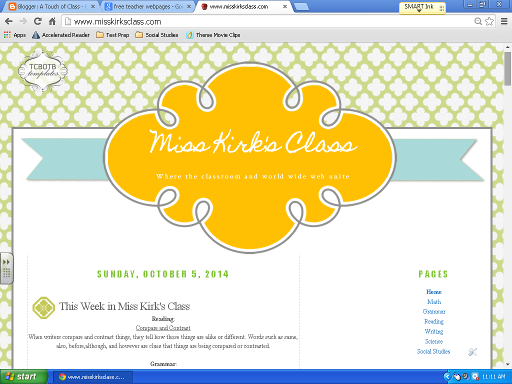 I highly recommend starting a class website if you haven’t already. In the computer lab, it is usually pretty easy to give students activities that are engaging. That doesn’t mean you can have a 90 minute computer lab block scheduled and expect the students to do spelling or multiplication drills for the entire time! If you have that kind of mindset, you should go ahead and expect some disruptions and possible behavior problems. If planning simple tasks like spelling drills, math drills, or easy grammar practice games, etc.. You will want to take in a timer. (I use a kitchen timer) Make an agenda on the board of the activities that the students get to participate in during computer lab time. Each activity can be given a 15 minute time window. When the timer goes off, the students are to go on to the next activity. This system does multiple things: It lets the students know that you are prepared and have set expectations for their time in the lab, it prevents a certain level of boredom which can deter behavior problems, and it can cover multiple skills all during one computer lab session. Keep in mind, you may vary the time you allot for each activity. It solely depends on the type of activity you are doing. I suggest screening ALL internet learning activities and programs before assigning them. Quizlet – Allows you to create study flashcards, quizzes, and games for students. Sumdog – Math games – students compete with one another as well as with other students around the globe. Quia – Similar to quizlet, above. Mobymax – Provides common core aligned curriculum featuring multiple options including games. Students take a pretest, and the program differentiates to meet the needs of each student. Scholastic Activities – Large list of “computer lab favorites” from Scholastic. Prezi – A Prezi is like a Power Point on steroids. Students are able to create a presentation about ANYTHING! It is fun, easy, and the kids absolutely love it. I have assigned students research presentation Prezis that incorporate a level of differentiation naturally. I have also used Prezis for Poetry vocabulary. The students had to create a slide for each of their words. They were required to follow a rubric for each slide where they were asked to include the word, definition, example, and a piece of clipart that “matched” the vocabulary word. Perhaps one of my favorite Prezi projects was having the students create their own “choose your own adventure” story, where they created a story use multiple endings and the “reader” got to choose their own ending using the slide options int he Prezi program. I can go on.. and on.. and on.. Just go check it out for yourselves! 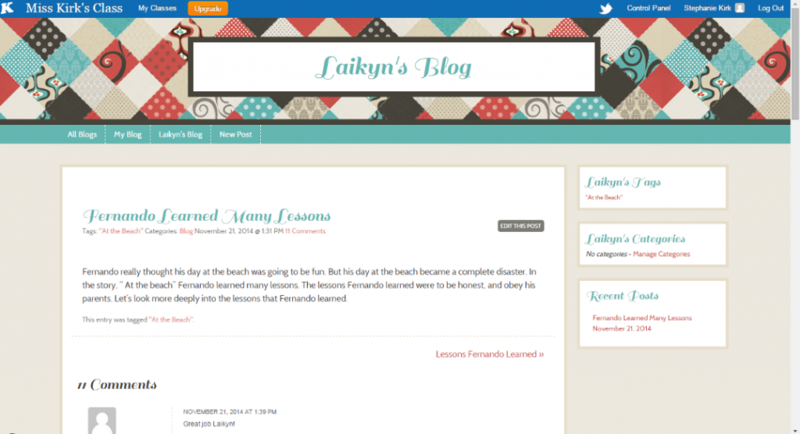 Kidblog – Students blogging about their writings. Students commenting, sharing, uplifting, critiquing, etc.. I love kidblog! I have actually written an entire post explaining the benefits and how I used it in my classroom. 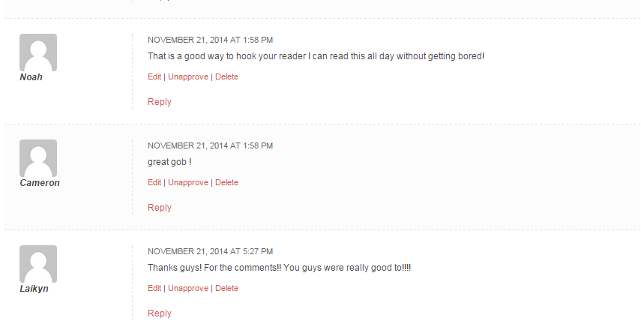 Go check out my Student Blogging Made Easy blog post. Research – I don’t have a specific website for this activity because there can be many. I love using the computer lab to do research. 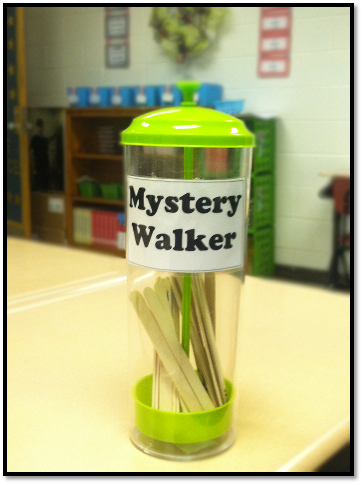 Students can pick their own topic, or the teacher can provide one for them. The teacher can provide graphic organizers or templates to guide student learning. For a free and easy introductory research template that includes citation support, check out my Research Writing Template. How do you use your lab time? Computer lab time can be a game changer for us teachers who don’t have a lot of technology in our classrooms. I would love to have my very own ipad station… but I just don’t. I know some schools who provide an ipad for each student! Wow! I am lucky to have a couple of computers in my classroom that work! I want my students to have access to technology as some of my students still don’t even have internet at home! Unfortunately, I will have to find fun and creative ways to integrate technology while providing meaningful and rigorous activities using the web. I am slowly learning what is effective, and what is just “fluff”. I need your help!! What do you during your lab time?? Have you found resources that spark a deep level of learning? What is motivating for the students?